Easy Transfer 2 Airport provides transfers to and from all of these major Canada airports. If you demand unbeatable value and service, here are just a few of the reasons why you should start or end your journey with us. Easy Transfer 2 Airport drivers will pick you up or drop you off at your doorstep, whether it’s home, a hotel or the office. They’ll even help you with your luggage. 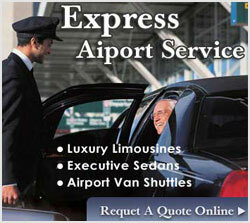 Easy Transfer 2 Airports operate to and from Canada largest airports 24 hours a day, seven days a week. Our fleet serves the airports in Vancouver with more on the way. Easy Transfer 2 Airports don’t have meters, so even if the traffic is heavy, you won’t have to worry about your fare going up. We only travel to and from the airport, so we can calculate our fares up-front, and stick to them. Easy Transfer 2 Airport keeps fares rock-bottom by picking up or dropping off other air travellers en route to or from the airport. Alternatively, if you or your party would rather travel alone, enquire about our competitive exclusive ride rates. With our modern and spacious minivans capable of seating up to 11 passengers, and a huge trailer accommodating luggage of all shapes and sizes, you’ll have a job filling up a Easy Transfer 2 Airport. Easy Transfer 2 Airport are so easy to find once you have arrived at the airport, simply click your airport's name below for a printable map showing exactly where you can find us. Whilst we recommend booking in advance, you can take any available seats on a Easy Transfer 2 Airport leaving the aiport by contacting one of our staff at a Easy Transfer 2 Airport desk or at the shuttle bus ranks outside the airport. Custom Transfers and Tours is Easy Transfer 2 Airport business class service providing exclusive transfers, sightseeing and touring services to the corporate and high end inbound travel markets. Our drivers have been carefully selected and trained to provide a market leading chauffeur service. Each team member individually owns and operates their vehicle. This ensures a personal commitment to service, safety and vehicle standards. Our clients can expect a discrete, knowledgeable and personalised experience when they engage the Custom team. 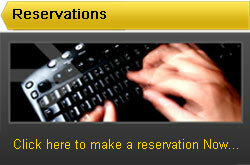 The Custom reservations team has significant ground transport expertise and experience. Our clients can consult with us regarding their specific requirements and we will plan and implement the transport solution suited to their needs.